The domestic laying chicken has been intensely selected to be a persistent ovulator. That is, the tendency for broodiness has been nearly eliminated and, given the appropriate lighting and nutrition, many strains of laying hens produce an egg on almost every day. 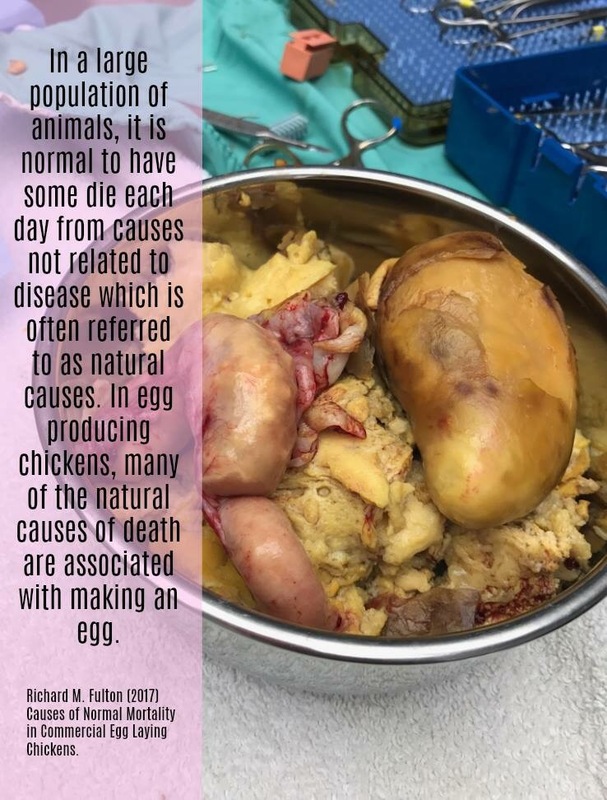 […] Commercial laying hens also spontaneously develop ovarian cancer at a high rate, and susceptibility to this disease has been associated with ovulatory events in women. Think about all that for a second. Hens are forced by genetic manipulation to lay eggs so frequently that they are highly predisposed to reproductive cancers. The thing they were bred to do for humans will likely kill them. Equally awful, as the Poultry Science abstract cited above also makes clear, humans have bred OUT the mothering instinct in most hens because it interfered with egg laying. Put another way, hens don’t even get the chance to experience motherhood…because nothing in their hijacked biology compels them to. Every time someone eats an egg, these are the things that are being supported and normalized. That’s part of why eggs don’t “just happen,” and why laying hens can never be truly “happy” when you steal the object of their suffering. 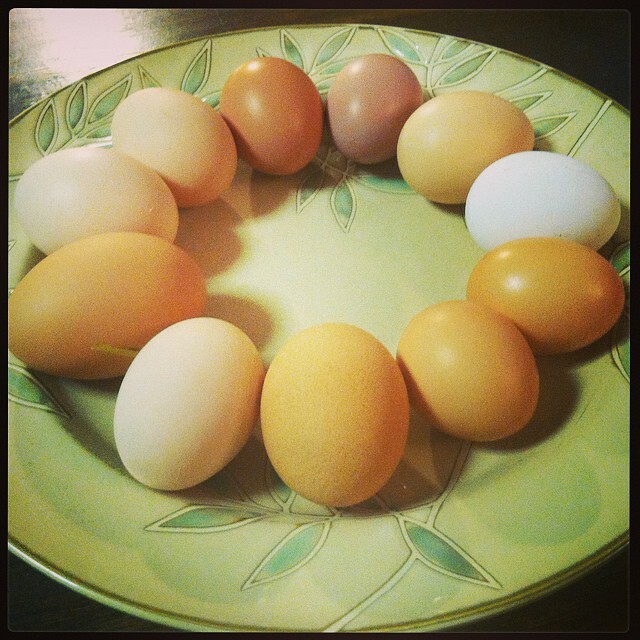 One days’ worth of eggs from the former backyard hens at Triangle Chance for All’s Microsanctuary roughly equals the number of eggs laid per year by one of their wild ancestors. This pathological abuse is horrible and cannot be justified. Period. Yet the reality of the situation is that these obvious tortures are not restricted to “factory” farming; they are inextricably connected to every farmed animal, no matter where they are living or how they are treated. Practically all farmed animals today grow at certain rates (like the “broiler” chickens raised for meat who are killed at six weeks old, long after they have become crippled by their own bulk), have certain numbers of babies, lay a certain number of eggs–all as a result of human manipulation–through selective breeding and more invasive genetic tinkering. The resident hens at Triangle Chance for All are perfect examples. Almost all of them came from backyard flocks (not battery cages or “free-range/cage-free” farms), and each will lay between 250 and 300 eggs per year, unlike her wild ancestors, who lays between 10 and 15 eggs per year. All domesticated hens are victims of their own hijacked biology, and most will die well before their time because of this. In the case of other animals, their premature deaths typically come at the hands of a human–either because their flesh is desired, or their productivity (and thus their usefulness) has waned.